Pin White Chili with Chicken and Beans here! Chili is comfort food during the colder months of the year. For me, it’s also a great batch-recipe to make for our family of two because I can pack the leftovers for Brian’s lunch or serve leftovers for dinner on a busier-than-usual week night which saves a little bit of time. 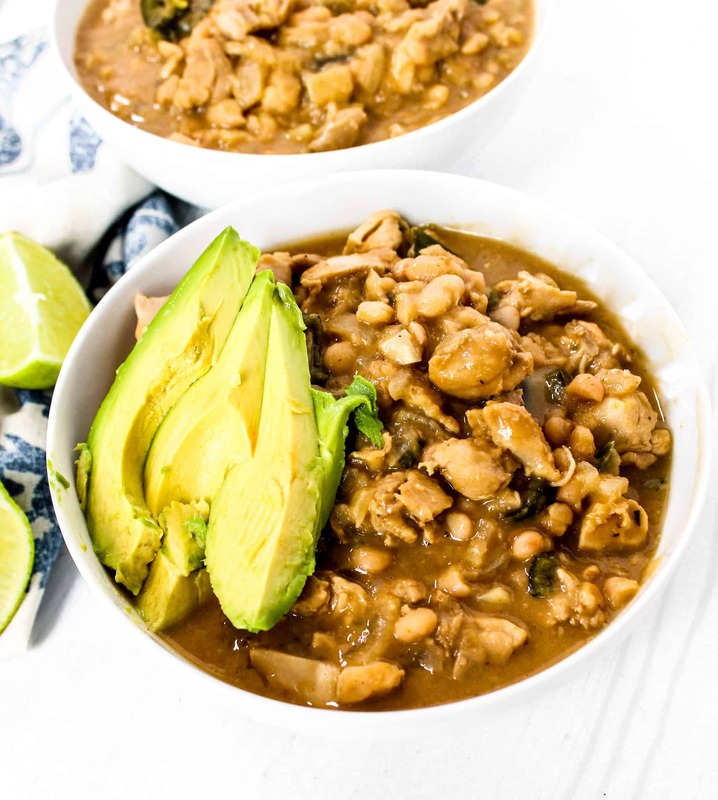 The flavors in this White Chili with Chicken and Beans honestly make it taste restaurant quality! A flavor base of onion, green chilies, garlic, cumin, oregano and lime really blend perfectly to make a super satisfying dish. 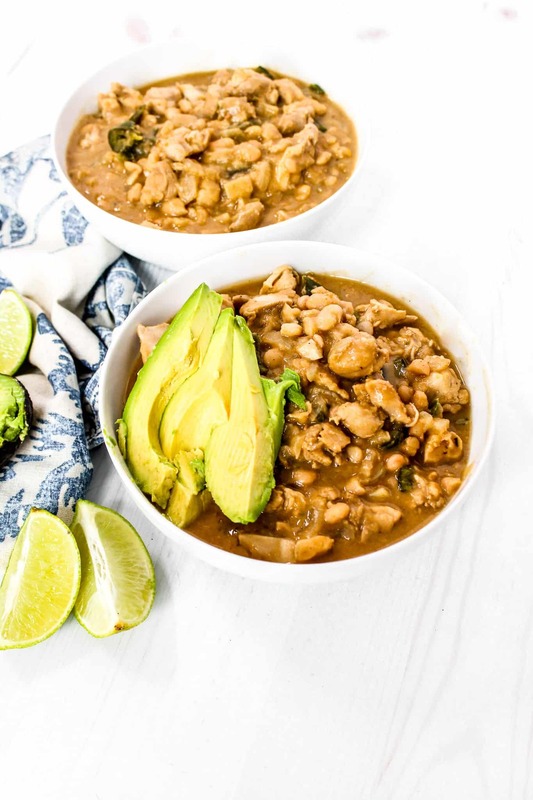 White Chili with Chicken and Beans is from Michelle Dudash’s cookbook Clean Eating for Busy Families! I am excited to be sharing this recipe from Michelle’s book, which is an expanded and revised version of the original. That means new recipes, new photos, and new advice for feeding your family nutritious food. 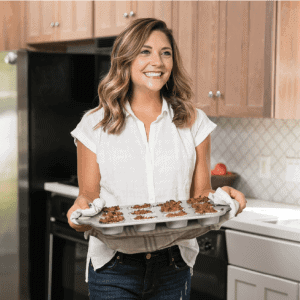 Her cookbook is seriously filled with so many mouth-watering recipes, and the best part about it is that they all have tips for making things easier to help save time when necessary, how to be more environmentally friendly by eating with the seasons, and at the front of the book she shares tips for meal planning and navigating the grocery store. This is the perfect cookbook for weeknight cooking. As I was combing through Michelle’s book, there were so many yummy recipes I wanted to try (you can tell by my post it notes sticking out of the book! )…like the Quick Fix Trail Mix Snack Bars, Four Layer Carrot Cake with Pineapple Frosting, Buckwheat Noodle Bowl with Ginger and Edamame, and Black Bean Veggie Burgers. So much goodness to choose from! 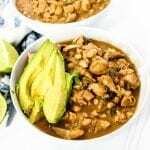 This dish is packed with nutrients from the fiber and plant protein rich beans, protein and iron rich chicken, and it’s topped with fiber and healthy fat-filled avocado! What’s not to love!? Tip: adding the lime zest REALLY adds a boost of flavor. I use this microplane to zest my citrus when cooking and absolutely love it! If you are doing any meal planning for the week, this is a fantastic recipe to add to your menu (and your weekly rotation!). 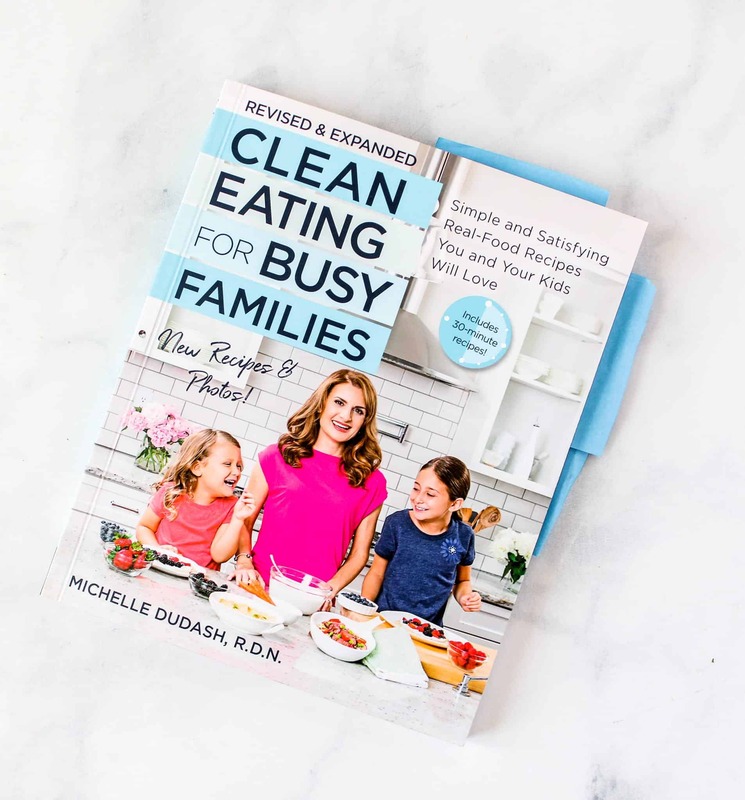 Michelle’s cookbook is great for families that want to eat nutritious, flavorful food and not spend time you are already lacking on the planning, prepping, and cooking. This book will help you get organized, be efficient at the store, and have satisfying and nourishing food on the table in no time. 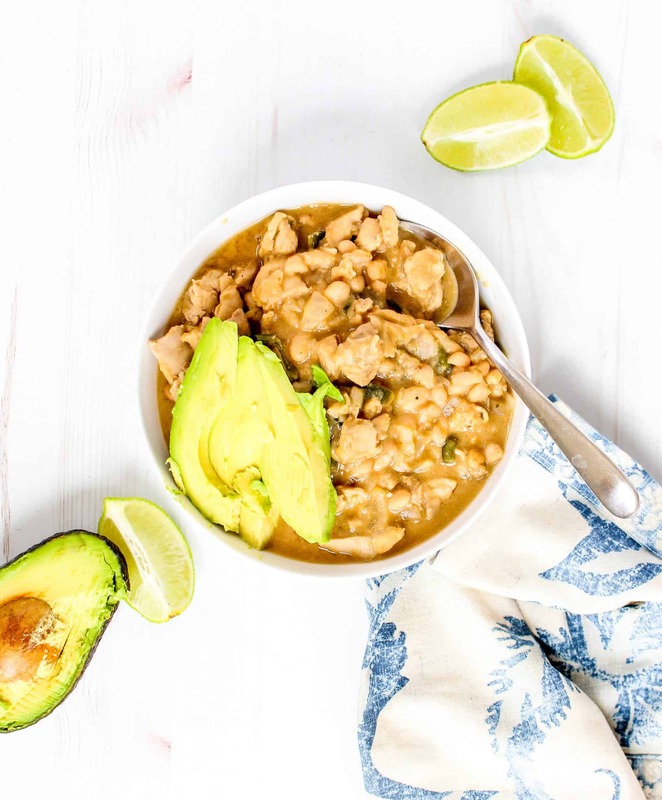 White Chili with Chicken and Beans is naturally gluten free, dairy free, and nut free. This recipe is not low FODMAP, as it does contain garlic, onions, and white beans. Fun Fact: Michelle and I are both located in Indianapolis, IN! 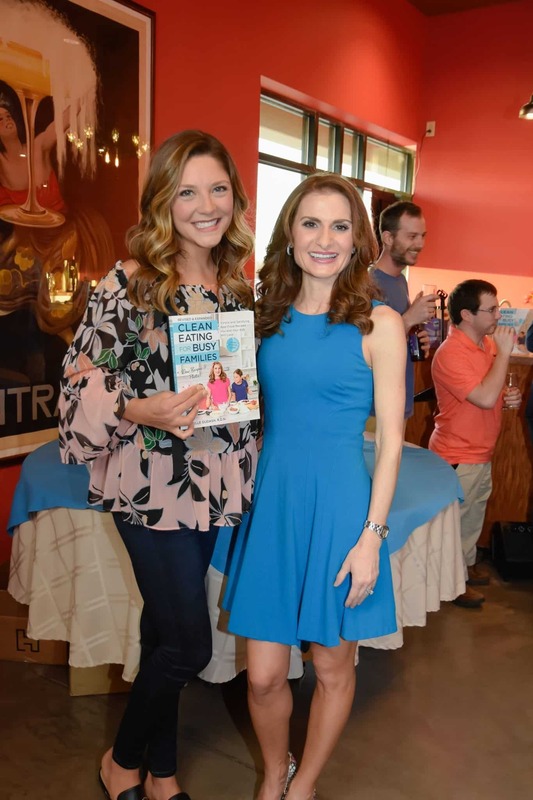 A couple of weeks ago she had her book launch and I was lucky enough to attend to try MORE and celebrate this wonderful cookbook resource. This looks delicious, can’t wait to try! Thanks, Kara! It’s so flavorful! I love when you can find so many great recipes that you want to try in a single cookbook. This one looks great and is perfect for batch cooking to enjoy all week long. This sounds super delicious! I am totally craving a bowl now!